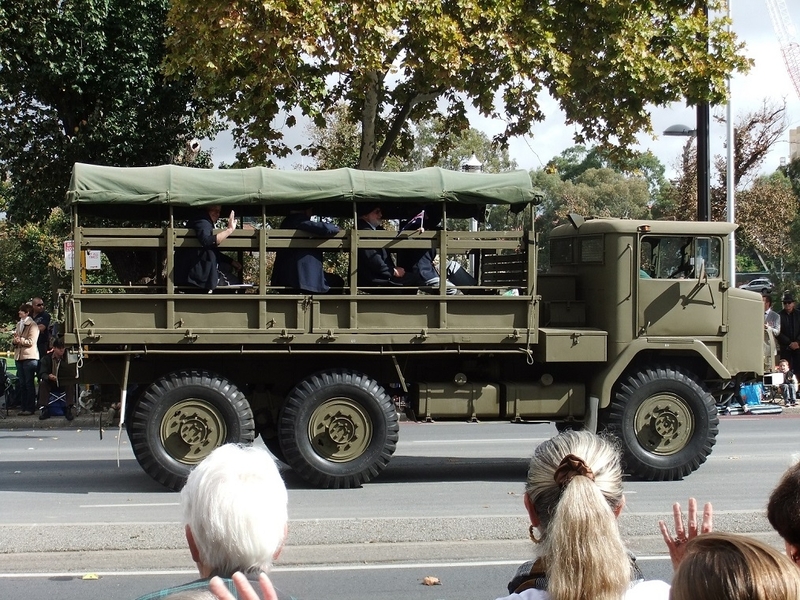 This year the transport for the March consisted of 26 historic vehicles, the Army provided 5 vehicles, the Red Cross had 4 cars and. 90 passengers were carried which was slightly less than last year. 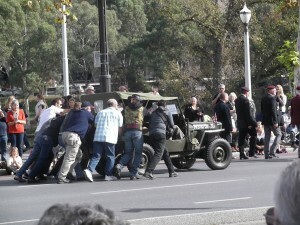 This year there was one breakdown near the end of the march, in front of the Saluting Dais unfortunately. However it was cleared very quickly by numerous spectators who suddenly appeared and pushed the vehicle to a round of applause from the crowd into War Memorial Drive without any detrimental effect on the flow of the march. As a result it was the only time that we have actually got a picture in the Advertiser. It was good to see the support that was received from the crowd. The after March debrief and BBQ was again at Bonython Park this year to feed the very hungry drivers after an early start and to make it easier for those taking vehicles on to the Football match at Adelaide Oval. 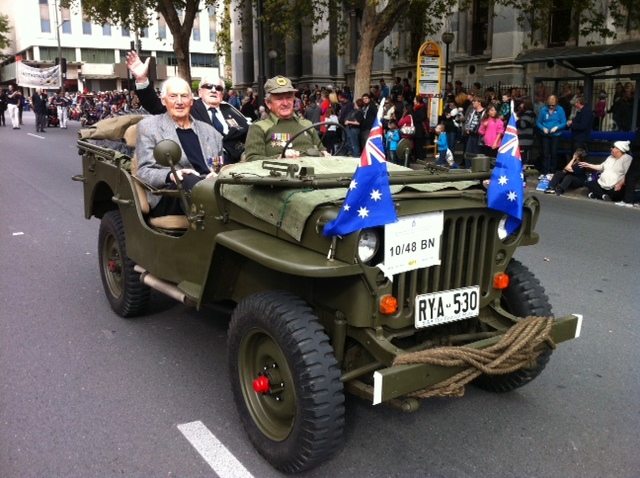 Our Patron and Chairman of the Anzac Day March Committee, Bill Denny has also expressed his appreciation of our contribution to another successful March. 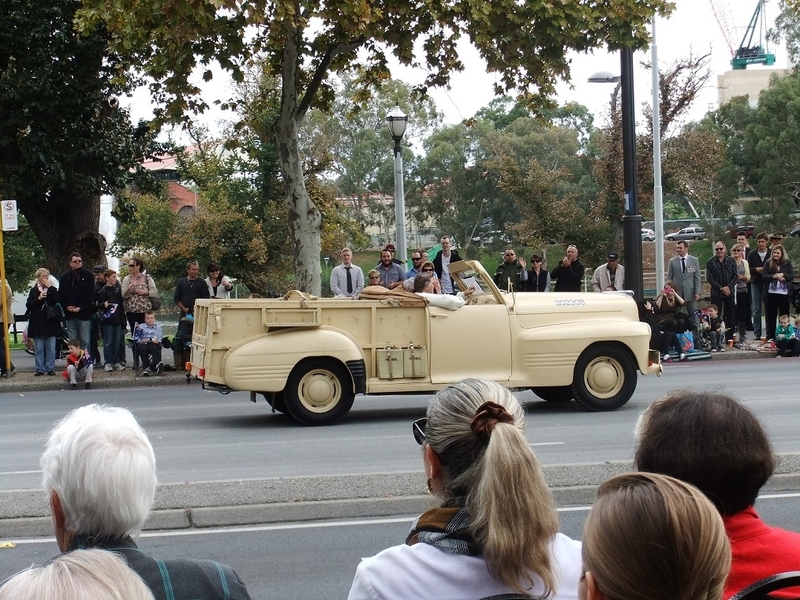 Next year we may be called upon to provide even more vehicles than we have in the past. 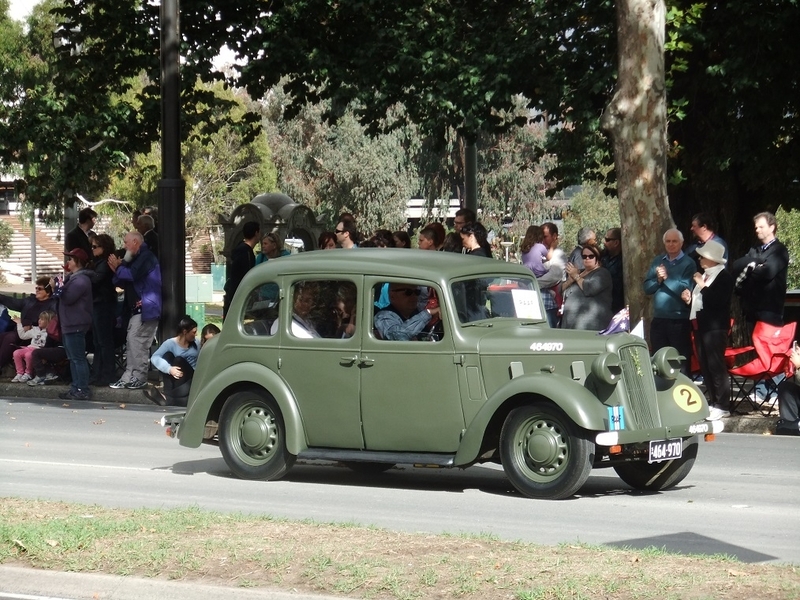 I would encourage you all to push ahead with your restorations or if you are contemplating another purchase why not consider a vehicle that would be suitable to transport veterans in the march.